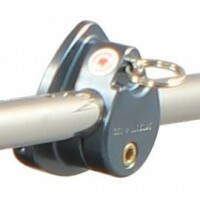 These Quick Release Bases are for use with M-Series mounts, providing the point for devices to be connected. MQR75: The standard-use Basic Quick Release Base for M-Series mounts. ..
MAQR75: Articulating Quick Release Base for use with M-Series mounts. The angle is adjusted with ..
MAQR75-1H: Articulating Quick Release Base for use with M-Series mounts,1 handle version. The fac..
MAQR75-2H: Articulating Quick Release Base for use with M-Series mounts, 2 handle version. Both t..
MCAMQ75: Precise framing for seamless transition between photo and video. The innovative MHXPRO-2..